As it’s Cheese Lovers Day today, Group Leisure has put together a quick guide to five of the best cheese-worthy events to visit around the UK. 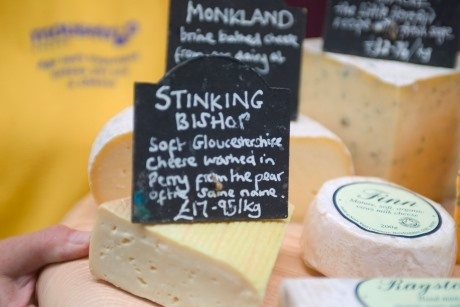 The Artisan Cheese Fair at Melton Mowbray Cattle Market, Leicestershire will be returning for its sixth year on the weekend of the 30th April. The two day festival will offer programmes of talks, demonstrations and tastings by industry experts, and cheese lovers will find local produce on sale, including Melton Mowbray’s famous pork pies. The Cheese and Chilli Festival takes place in Basingstoke, Christchurch, Guildford and Winchester on various weekends throughout June, July and August. The festival boasts live music and a chilli eating competition, whereas those craving something cheesy can taste and buy cheese from all around the world. Organised talks will also be run by local cheese experts, explaining the origins of cheese and different production techniques. The Exeter Festival of South West Food & Drink is more varied with a mixture of high quality food and drink on offer, all made by producers and exhibitors from the region. However, there’s still plenty of cheese related indulgences to be had. In the AGA Taste and Cookery Theatre, talks and demonstrations such as Understanding the Artisan: West Country Cheeses with Sharpham and Cornish Blue and Devon Cheese with Mary Quicke MBE and Ticklemore Cheese will take place. Many exhibitors will be selling fresh cheese too, of course, during the 22nd to 24th April. World Stilton Cheese Rolling Championships, Stilton, technically may not be a cheese fair, but it’s worth checking out anyway if you love your cheese. The annual event is bizarre, but the tradition is rumoured to have been going since the 1800s. Groups visiting on Monday 2nd May will see teams of four rolling cheese around the streets of Stilton, but there’s plenty to do if you’re not participating. There will be stalls with local food, crafts and gifts on sale too, as well as a fairground. Northumberland Cheese Company is based at The Cheese Farm in Balgdon and has group friendly activities. Guests can enjoy a dairy tour and cheese tasting experience, which includes a homemade lunch in the farm’s cheese loft café, where produce is sourced locally. During the tour, experienced cheesemakers will tell groups the process of making cheese, from the moment the milk is delivered from the farm through the churning, molding, brining, maturing and packaging. Groups can see behind the scenes and learn about what it means to source locally. A shop is attached to the café with cheeses, cheese accompaniments and gifts on sale, too. A new gin festival will debut in Scotland this summer in the heart of the country’s malt whisky-producing region. As this week marks Shakespeare’s birthday, we’ve selected five fantastic ways for groups to celebrate the Bard. We’ve scoured the UK for some of the top zip wires for groups looking for a bit more adventure, from the longest zip line in Europe to the ultimate challenge for adrenaline junkies.